without the slightest speck of journalism ethics. If you look at the last few posts to this blog, you’ll see I gave no quarter. So, again, Sunday, the paper’s editorial attempts to sway opinion — as is its right — with a sleazy tactic of condemning something in total ignorance and undercutting it with “information” that wouldn’t survive critical thinking. The editorial refers to the public forum Monday featuring University of Texas at San Antonio Professor Heywood Sanders, author of a book entitled “Convention Center Follies;” the book questions whether convention center projects engender economic, or in Amarillo’s cases, downtown development. Propagandist-in-Chief Dave Henry, carrying the water for Mr. Conflict-of-Interest Les Simpson, asserts that Sanders’ information should be discounted a priori (Hey, Dave and Les, that means ahead of hearing the information). The Globe-News believes that two guys with a consulting firm whose business is built on fostering the building of convention, sports and other venues carry equal weight to a professor. In other words, the Globe-News is telling you to discount an academic with no dog in any of these fights and accept the word of guys whose livelihood depends on cities suffering from an edifice complex. If anything about the Globe-News’ position in this downtown development debacle should make the public angry, it’s the clear message from this hack-led paper: We don’t believe the readers of the paper and the people of Amarillo are smart enough to think critically about downtown development. Then, the editorial goes even further. The Globe-News asserts the city can’t bring conventions here simply because it lacks a convention center hotel. “Even those who oppose the overall downtown development project (a convention center hotel, parking garage and multipurpose event center) cannot dispute this disadvantage Amarillo faces,” Henry writes, continuing by quoting Dan Quandt, who heads Amarillo’s Convention and Visitor Council. Quant, of course, also has a dog in this fight. Truth is, many of us can dispute these assertions. 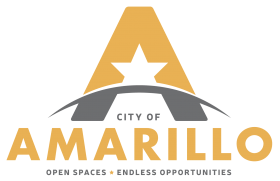 First, the presumption that conventions will drive economic and downtown development and raise all the vessels in Amarillo’s harbor is fallacious. The disadvantages to bringing conventions to Amarillo arise from: Poor airline service, with difficult connections from the three remaining carriers at Rick Husband Amarillo International Airport; no Amtrak service; and, Greyhound being the only other long-distance public transportation. The Amarillo Economic Development Corp.’s penchant for insider deals instead of working to make public transportation, specifically at the airport and with Amtrak is one more reason to restructure the entire AEDC. Second, even if (and it’s a big if) the current Civic Center could reasonably host large conventions, and were the only reason for conventions coming to Amarillo, the hotels along Interstate 40 are not that far from downtown. And, the $45 million for the out-of-town version of a Patel-hotel would buy plenty of high quality shuttle bus services into the city center. Finally, the presence of a hotel and ballpark, or even a nicer Civic Center, aren’t what will bring conventions to Amarillo. It will be the collateral amenities, such as tourist-attracting sites and activities. And, I might add, emphasizing tourism would have more effect than conventions. The editorial also asserts that perhaps Amarillo loses out on 1,300 conventions, but concedes that number is vapor. The one thing the opponents of the current Wallace Bajjali-Downtown Amarillo Inc. downtown development debacle agree on is we need a more vibrant downtown. We just don’t need a corruption-fertilized “catalyst project” to do so. · Value the past by emphasizing Amarillo’s Western/cowboy history, railroad history and Route 66 history by developing those elements as reasons to visit. Ø Bring together the railroad history interests to consolidate as many of the museum activities as possible around the city-owned property that now houses the Madame Queen. Ø Work with the Panhandle Plains Historical Museum and other interests to make travel to PPHM possible by public transportation and make the National Center more prominent in Western activities. Ø Clean up and help businesses along Sixth Street and Route 66 by working more closely with them and their organization. Ø Foster the development of the Herring Hotel as part of the city’s golden era in railroads, cattle and Route 66 and stop putting the squeeze on the hotel’s owner. Ø Shift the CVC’s marketing emphasis away from conventions and full-out, heavy marketing for the elements outlined above. Ø Increasing police presence downtown. Ø Work with Potter County to renovate its stadium and set up public transportation infrastructure to make the ballpark more accessible from all parts of the city. · Add marketing Palo Duro Canyon, the city of Canyon, PPHM, Alibates Flint Quarries National Monument, Lakes Meredith, Greenbelt and McKenzie to the CVC’s portfolio. That answer your question, Dave and Les? Labels: Amarillo, Amarillo City Council, Amarillo Economic Development Corp., Amarillo Globe-News, Amarillo Local Government Corp. Downtown Amarillo Inc. The frontier western theme has always attracted international tourists. And such attractions are family-friendly for I-40 travelers wanting to spend part of a day here to break up the drive. That seems more likely to pay off than chasing small to mid-sized statewide convention business that is more likely going to land in the mid-cities area of Dallas-Fort Worth for logistic reasons. What are the chances of Union stagehands being brought back to work at the Civic Center? From what I've been told, (former neighbor ran the lights from 80-94[?] this lapse in contract (read: city hall blunder) is a big reason larger music acts and whatnot don't play here. Where on the "truth-meter" is this assertion?